10:30-11:30am, Adults Class in Lillie Road Fitness Centre, Lillie Road, LONDON SW6 7PD. Places limited to 13. Please call the centre for the cost & to book a space in the class on 020 7381 2183. 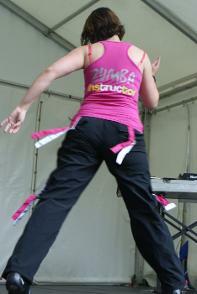 2-3pm, Adults Class in Swiss Cottage Leisure Centre, Adelaide Road, LONDON NW3 3NF. Places limited to 30. Please call the centre for the cost & to book a space in the class on 020 7974 2012. 6-7pm, Adults Class in Swiss Cottage Leisure Centre, Adelaide Road, LONDON NW3 3NF. Places limited to 30. Please call the centre for the cost & to book a space in the class on 020 7974 2012.